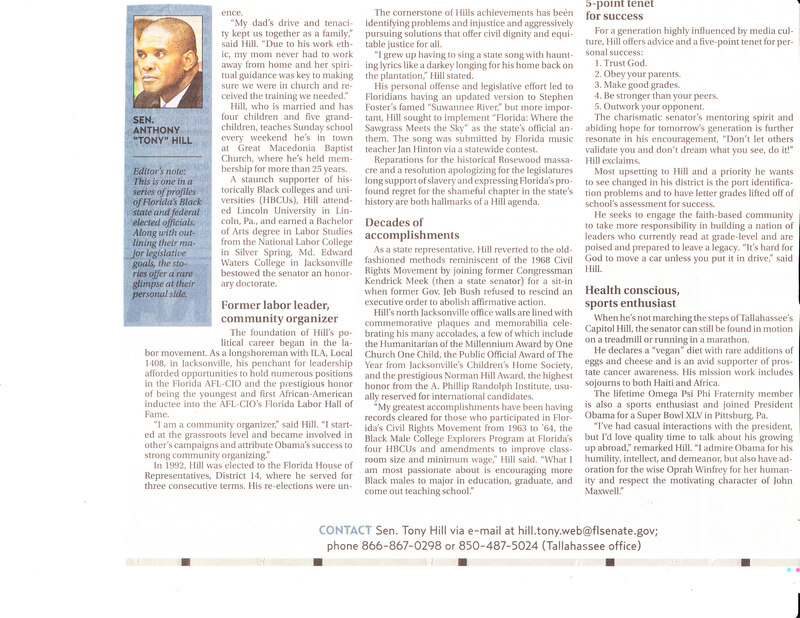 I really enjoyed this article about Senator Hill. 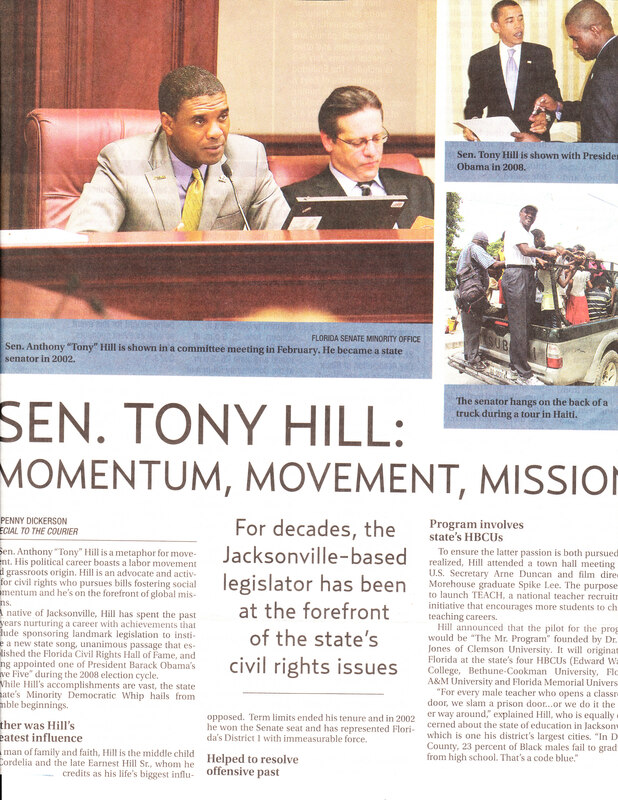 I remember the sit in Tallahassee. I believe Kendrick Meeks was with him. Wow so long ago but I gained much respect and love for the both of them. He is the epitome of service. Giving the people what they want and need. Thanks so much great piece!